Our Writing for Authority programme coaches first-time business authors to create a high-quality business book. Understanding the power a business book has and what the right book can do for you in your profession are aspects of writing that are rarely considered by first-timers (and in truth many established business authors as well!). 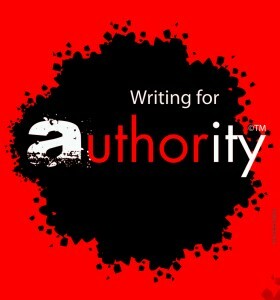 The Writing for Authority Programme is not just about getting some words on paper and wrapping them in a pretty jacket. It's about creating an ambassador show-casing your authority in your given field. A full-day workshop introducing you to business publishing and becoming a business author; what it will involve from writing the first words to publication and beyond. You will walk away with a sound theme for your book and plan for the right content to make it stand out, and not be just another book of it’s type. Workshop is limited to 10 people to prove the essential time per person. £450 includes and a post-workshop two-hour 1-2-1 session with Miles to brainstorm your first book's content and plan your project. Follow-up support through monthly group meetings and mid-month two-hour Google hangouts keep you on-track and ensure you get the book finished and published to a high standard. Includes a buffet lunch and refreshments. Email below for next next date. This intense one-day workshop is packed with ways the modern business author gets recognised through a powerful online, media and physical presence converting to greater sales and increased income. Each member is be given personal time to kick-start their tailored social media, website and PR activities to maximise their book's launch and impact in their field. Course is limited to 10 people to provide the essential time per person. Follow up sessions are available to help you complete and maintain your platforms and keep them fresh. £455 includes lunch and refreshments throughout the day. Next course is: coming soon. Register your interest below and we'll contact you when the next date and venue is set.